Andre Ayew scored twice to help Swansea to a 3-1 win against Liverpool. Andre Ayew scored twice as Swansea comfortably beat a much-changed Liverpool side 3-1 on Sunday afternoon. Jurgen Klopp made eight changes from the midweek Europa League semi-final first leg and despite fielding the youngest ever Liverpool team in the Premier League, they lacked energy against a Swans side looking to mathematically secure their top-flight status. Ayew opened the scoring just after the 20-minute mark, before Jack Cork doubled the advantage with a fantastic curling effort fired into the bottom corner. Half-time substitute Christian Benteke pulled one back for the Reds, but Ayew restored the lead two minutes later and the visitors ended the game with 10 men after Brad Smith was sent off. Liverpool stay in seventh on 55 points - four behind Manchester United and West Ham - while Swansea have sealed Premier League football for another season and move up to 13th with 43 points. The game took a while to get going, but it was Liverpool who had the first chance as a Jordon Ibe cross found Daniel Sturridge at the edge of the box, but his toe-poked volley went wide. From then on, it was Swansea who dominated with Gylfi Sigurdsson testing Danny Ward and Ayew twice firing wide, but the Ghanaian found the breakthrough in the 21st minute to give the Swans a deserved lead. Sigurdsson swung a corner into the box and Ayew rose above the pack to head into the bottom corner. Swansea could have added more to their tally not long after, as Ward was forced into a save from Cork's 12-yard volley before Jordi Amat headed over the bar from point blank range following a Sigurdsson free kick. A second seemed to be on the way, and it came just after the half-hour mark with a fantastic finish from Cork, who dispossessed Philippe Coutinho near the halfway line before racing to the top of the box and smashing a curler into the top corner. Sturridge could have pulled one back for the Reds instantly, as Sheyi Ojo played him in on the left, but his shot across the face of goal missed the net by inches. The second half started much like the first with very few chances to speak of, although Neil Taylor could have gifted Liverpool a goal as he turned an Ojo cross just past his own post in what was the best effort of any kind in the opening 15 minutes. The second-half goals came in quick succession with Benteke the first to score as he headed home from an Ojo corner to reduce the deficit and give Liverpool a glimmer of hope. However, Swansea restored their two-goal lead just minutes later as Ayew nabbed his second, taking advantage of some poor defending from Liverpool to coolly hit home through a sea of red shirts. The afternoon got worse for the Reds as they ended the game with 10 men after Smith was shown a second yellow for a high challenge on Wayne Routledge, and Swansea could have had a fourth just minutes later as Angel Rangel smashed an effort into the side of the net. The rest of the game was seen out with relative ease by the hosts, with Sigurdsson failing to square the ball to Ayew for his hat-trick in the dying minutes and seeing his shot go wide - much to the dismay of the Ghanaian. 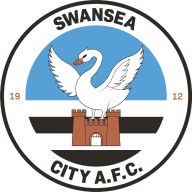 Swansea: Fabianski (7), Rangel (7), Amat (7), Williams (7), Taylor (7), Britton (7), Cork (8), Sigurdsson (7), Routledge (8), Montero (8), Ayew (9). 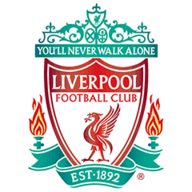 Liverpool: Ward (6), Clyne (6), Skrtel (6), Lovren (6), Smith (4), Stewart (5), Chirivella (4), Ibe (6), Ojo (7), Coutinho (5), Sturridge (6).